The Machete offers competitive-level performance and style at an entry-level price. 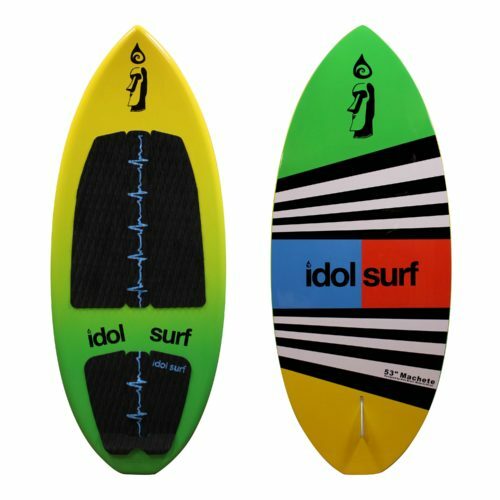 This board is deal for progressing riders up to 185 pounds. The Machete is the centerpiece of idol skim line. It offers competition level performance and style at a price that is hard to beat. 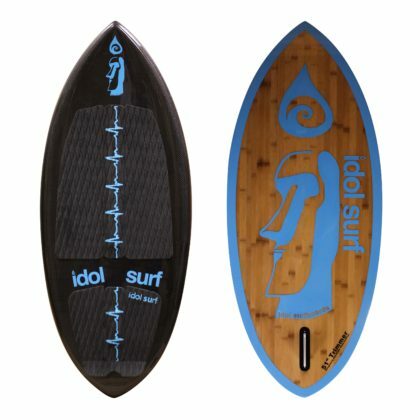 This board is ideal for any rider up to 185 pounds looking to improve their wake surfing and expand their trick list. It features a fast and stable outline, flat rocker, and hard rails, to deliver a fun and forgiving ride that is sure to be a favorite of most riders in your boat. 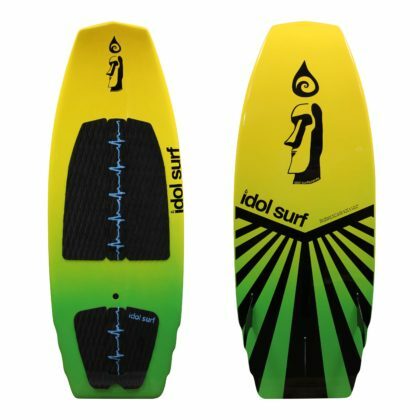 Free shipping on all wake surfboards in the 48 continental United States! Orders ship via UPS within two business days. 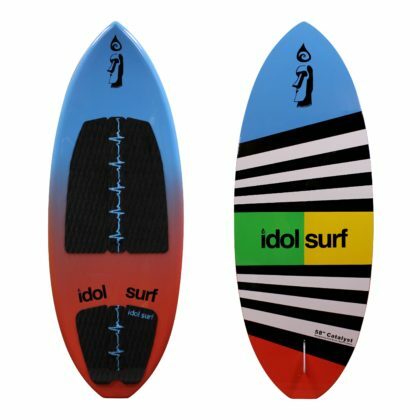 If you want your wake surfboard sooner, check our Dealers Page and visit your local iSurf dealer. 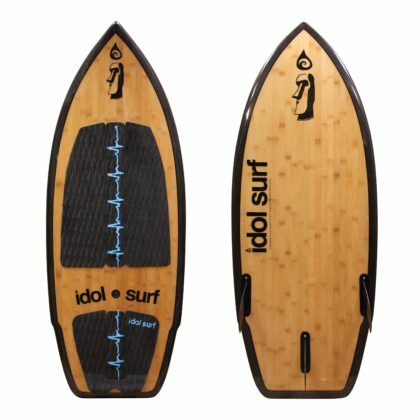 53" x 20 5/8" x 1"
Flat rocker, hard rails, pin tail, single fin. Diamond pattern traction with 1cm raised arch bar in front and back. Futures TMF-1 fin and larger fin for beginners included in the price.